As society continues to learn about and embrace transgender citizens fully, more opportunities emerge for those who identify as a different gender than the one they appeared to have at birth. Each person’s journey to their true self is unique. For some, changing their name and wardrobe is sufficient. For others, the path may involve additional strategies such as top surgery--whether the goal is a male to female or female to male change, or a more androgynous appearance. In our New York plastic surgery practice, we are very pleased to help transgender people who are interested in making some physical changes. Our board certified plastic surgeon, Dr. Elliot Jacobs, is a good choice for surgery in all its forms. Unlike most plastic surgeons, he works with almost equal numbers of men and women. He and his team truly understand the desires, challenges and questions of every patient. 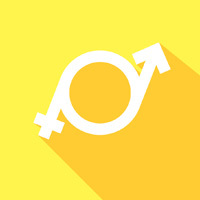 Read our blog post, "Surgery May Not Be the Hard Part"
For many people transitioning from male to female, hormone therapy is often a first move. After realizing the changes hormones can bring about, many choose to undergo top surgery. This means breast augmentation, but it also means a careful evaluation of your physique and a meticulous strategy for creating the look you have in mind. Dr. Jacobs will take into account many factors, including the shape of your chest, the size of your pectoral muscles and more. Read more about techniques and options here. If you’re making a transition from female to male, www.plasticsurgeonnewyork.com/ftm.php top surgery to reduce the size of your breasts could be a priority for you. Because Dr. Jacobs has more experience with male breast reduction than almost any other plastic surgeon in the country—as well as breast reduction for women—you can be sure he knows how to sculpt breast gland and fat tissue to create masculine contours. You may want to read about his unique background and see some patient results photos on his website for men. 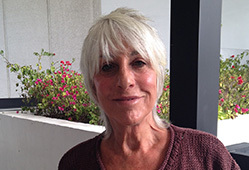 Of course every patient's results will be uniquely their own, but for some people the desired outcome will range somewhere between a traditional male and traditional female look. We have worked with several people who characterize the goal for their appearance as "non-binary" or "androgynous." With more than three decades of serving men and women who want to modify their breasts, we are ready to create breasts that enable our patients to live more comfortably in their own skin. We truly enjoy working with transgender people in New York and individuals from across the U.S. and around the globe through our fly-in program. For us, there’s nothing more satisfying than developing an individualized surgical plan for a patient—one that delivers the impact top surgery can have. Assisting someone in enhancing their true identity is a privilege. It’s a meaningful experience for our team as well as for the people we serve. Call us to arrange a consultation appointment at 212-570-6080. We’ll examine you, talk with you about your journey so far and give you all the information about surgery you’ll need to make the decisions that are right for you.